This class is for advanced shooters who have taken previous classes, such as the Beginner’s Basic Pistol. Due to the shooting techniques taught in this class, students must be proficient shooters. This class is designed to teach strategies that will help make you and your home less appealing to criminals. In addition, if a threatening situation occurs, students will learn techniques on how to protect themselves and their family from physical, emotional, and legal encounters. 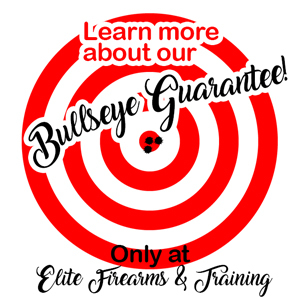 When there are no other options then to use your firearm for self-defense, make sure you’re well equipped to do so. The cost is a flat fee of $130. This class is 6 hours long (5 hours in class and 1 hour on the range). Range time can be scheduled on the same day as class or separately. Students must be 21 and older to take this course. Classes will take place in an indoor, temperature controlled classroom located at 1322 N. Academy Blvd. Suite 203. Range time takes place at an outdoor shooting range.